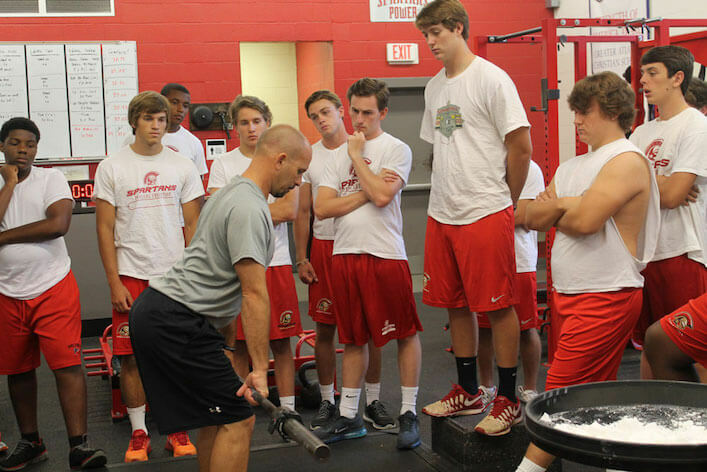 Gary Schofield is the head physical preparation coach at Greater Atlanta Christian, and a guy who is doing some really amazing work with his young athletes. In this episode Gary and I cover a ton of different topics including how he manages 409 athletes per day, his 5 principles for training, and what he means when he says athletes today are overspecialized and underdeveloped. What got Gary into the world of physical preparation. His overarching philosophy for training young athletes. The 5 Principles he uses to guide his training programs. What it means to be overspecialized, yet under generalized. What a typical training session looks like (considering he only has 30 minutes to get it done)! How an “average” day looks for Gary. The ONE piece of advice he’s give to young coaches in the industry. Some insight as to what Gary is working on to improve himself as a coach. An engaging lightning round where we discuss what coach he’d like to meet, favorite books, his biggest accomplishment as a coach, and one thing you can start doing, TODAY, to get better.